Under the supervision of the Director of Programming and Training (DPT), and in collaboration with the Technical Training Coordinator (TTC) and the Training and Evaluation Assistant (TEA), the Training Manager (TM) is responsible for the overall design, planning, organization, implementation, monitoring and evaluation of the Pre-Service Trainings (PSTs) and In-Service Trainings (ISTs). This includes recruiting, training, and managing temporary staff to conduct trainings. The TM will work closely with programming staff, including regional managers, the program manager, and program assistant, to assure the success of the training program in preparing Volunteers to successfully fulfill the goals of the Peace Corps Indonesia project framework and integrate into their communities. The TM will also collaborate closely with the Director of Management and Operations (DMO) to establish sufficient funding and support for training activities and to ensure that all activities are carried out in accordance with Peace Corps policies. The TM must be an experienced facilitator, trainer, and project manager, with strong interpersonal skills who can relate well to individuals from other cultures. The Training Manager works with the DPT, the TTC, the TEA, and any other training staff as part of the Programming & Training Unit (PTU). The TM organizes the work of the training unit and is responsible for providing clear and consistent leadership to training staff, scheduling and leading staff meetings, and staff training and guidance. He or she models professionalism and ensures similar behavior is exhibited by members of the training team. The TM must uphold all agency rules, regulations, and guidelines in protecting the integrity of the Peace Corps program and safety of Volunteers and Trainees. The TM should actively work in collaboration with all departments to consistently improve upon the quality and efficiency of Peace Corps Indonesia’s work. The TM must consistently use a range of support and communication skills including active listening, interactive coaching, and timely and consistent follow through on requests for support and/or assistance and/or program adaptations. The TM should foster and develop personal and professional growth, celebrate accomplishments, promote best practices and consistently champion the efforts of Trainees, Volunteers, and staff. Peace Corps Indonesia employs several weeks of orientation and training to prepare new staff members for their roles in the organization. Works with all P&T staff to develop a realistic and creative training strategy and Calendar of Training Events (COTE) for Peace Corps Indonesia’s training program. Creates a clear and appropriate training design for each training event. In conjunction with P&T team, designs and develops fully integrated training competencies using Training Design and Evaluation (TDE) methodology. Ensures that training activities are designed to help Trainees and Volunteers achieve stated competencies through a variety of learning techniques and that training designs are implemented as defined and planned. Provides expertise and consultation on Trainee/Volunteer training matters during frequent conferences, meetings, planning sessions, etc., with other Peace Corps staff members. Coordinates the recruitment, selection, and training process for contractors needed to conduct training events. Plans and implements an annual training of trainers (TOT), conducting sessions to build a well-functioning training team that includes PCVs, programming , administrative and medical staff, language and cultural facilitators, and other support staff. In coordination with appropriate Management and Operations (M&O) and PTU staff, selects and prepares training sites for PSTs and ISTs. Develops criteria and guidelines for training site and homestay selection. Surveys potential training site venues, establishes positive relationships with local community leaders, and ensures that thorough files on all training sites, facilities, and resources are maintained and updated. Prepares, submits, and distributes all required reports on training activities and evaluation. Works with PTU colleagues to ensure the participation of appropriate host agency personnel and other in-country resource people for all training events. Maintains current information and keep abreast of new training designs, techniques, processes, etc. relative to training program and overall human resource development. Conducts needs assessments for in-service events and assures in-service training designs reflect expressed needs of PCVs. Actively seeks and use feedback from Trainees, Volunteers, staff, and community members to improve Volunteer/Trainee effectiveness through quality training. Proactively identifies areas for improvement for subsequent training events, and works towards making these improvements and creating innovative training. Provides PCVs with guidance on a group and individual basis, through positive leadership, direct technical assistance, and consultation. Develops on-going, self-conducted training support for PCV use at site, with particular emphasis on managing Volunteers’ ongoing language learning plans throughout service through the use of community-based tutors, online language learning and intensive workshops provided by partnering language-learning institutions, and use of multimedia local-language materials. Ensures the development and implementation of a trainee assessment process for all training events. Recommends to Country Director (CD) Trainees to be sworn-in as volunteers as well as any to be de-selected. Follows up on concerns expressed by Trainees/Volunteers about their training experience including, but not limited to, host families, language development, technical training, and cultural integration, and actively works with staff and Trainees/Volunteers in resolving their expressed concern. Maintains effective and regular communication with training staff and Trainees throughout pre-service training. 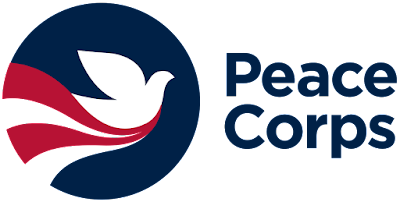 Assists in developing and delivering information for all reports required by Peace Corps Indonesia, its local partners, and Peace Corps, and providing advice on other aspects of budget and program planning. Develops training budgets and manages and reviews expenditures to ensure that they do not exceed the established budgetary constraints. Identifies and arranges procurement for materials and services needed to conduct trainings. Acts as primary point of contact for Peace Corps Indonesia activities with partnering training organizations, including but not limited to pre-service training (PST) host institutions and Bahasa Indonesia language-learning institutions. Analyzes and prepares reports on training and activities, and other data as requested by other Peace Corps staff and host country officials. Oversees design and distribution of language, cultural, and other training manuals. Maintains liaisons with the Training Managers and staff of Peace Corps Washington and Language and Cultural Coordinators of the EMA (Europe, Mediterranean and Asia) region by exchanging communication through electronic mail, temporary duty to other countries, workshop attendance, and other opportunities to share training designs, best practices, and materials. Assists all staff, resource Volunteers, and guest trainers in recognizing opportunities to integrate language, cross-cultural, technical, and health and safety training, and ensures that all training components are integrated. Assists in initiating and maintaining appropriate contacts with organizations that assist in training events or are likely to collaborate with Peace Corps Volunteers. Contributes to post planning exercises, the preparation of post reports to headquarters and government partners. Participates as a member in the post’s Volunteer Support Team. Develops information for country reviews, participate in country problem analysis and strategy formulations, explore new project opportunities, project future Trainee input levels and requirements, and provide advice on other aspects of planning. Responsible for efficient handling and safekeeping of records both electronic and hard copies, compliant with Peace Corps' Record Management policies and procedures. Performs other duties as assigned according to Peace Corps Indonesia’s needs. TDY Travel: The Contractor is subject to worldwide availability and may be requested by the Peace Corps to be reassigned or transferred permanently to another Peace Corps Post/Headquarters or perform temporary duties (TDY) as required and to travel to other assignments within Peace Corps’ as assigned. Any such reassignment or transfer shall be subject to agreement of the Contractor. The Statement of Work as defined will remain the same; however, the duties may be subject to change as determined by the Contracting Officer. University/college degree required, preferably in English Education, International Development, Cross-Cultural Studies, or a similar field. Please indicate “TM” in the subject line of the email. To be considered the email should be sent on or before: Friday June 30, 2017 at 10:00AM local Surabaya time.